In Kathmandu the Shedrub Ling Monastery known locally as the White Gompa is the home to Rangjung Yeshe Institute which provides courses in Buddhist philosophy and Himalayan Languages. This monastery built under the instruction of the 16th Karmapa is also the base for the many activities of Chokyi Nyima and Chokling Rinpoche, the two eldest sons of the late dzogchen yogi Tulku Urgyen Rinpoche. There are also International centres known as Gomde( place of meditation), these are in UK ( Yorkshire), Austria, Denmark and USA( California). Dharma Houses exist in many parts of the world including, Holland, Australia, USA, Brasil, Israel. The main activities of the Dharma Houses are:Meditation including Shamata( calm abiding) and Loving Kindness practices. Learning, reflection and practice are encouraged through study and meditation groups. In the words of Chokyi Nyima Rinpoche, " A Dharma House should be a genuine, open-minded gateway to the Buddha’s path of engendering ever-increasing compassion and insight for the greater good of your local community. A Dharma House should serve as a place where novices can meet with more experienced practitioners or teachers who can guide them in their personal Dharma practice. 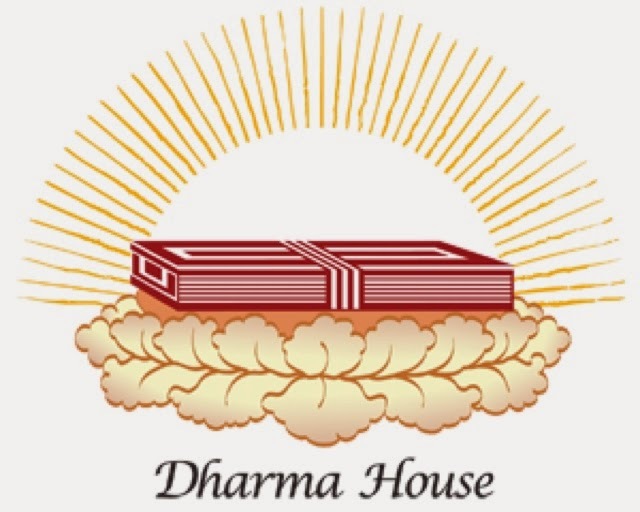 A Dharma House is open to whomever is interested in the Buddha’s teachings." In 2013 Jess and I asked Rinpoche if we could open a Dharma House here in Wales. We had already been holding meetings in The Friends Meeting House for some time following guidance from Mingyur Rinpoche and had for over 1 1/2 years been working with the Joy of Living meditation program. We felt however that there was a need to include more than just meditation classes and that there was a real need for authentic dharma to be offered to those who wanted it. Chokyi Nyima Rinpoche agreed that we could go ahead and so Dharma House Wales was born.